After consulting 50 internal medicine and subspecialty societies, ABIM Council approved a policy in Fall 2016 which will grant Maintenance of Certification (MOC) points to program directors of ACGME-accredited internal medicine residencies and fellowships in recognition of the quality improvement (QI) work intrinsic to their roles. The policy will delegate authority to the program director to attest to the meaningful engagement of faculty in QI activities in their training programs. Read more about this. ABIM will build the capability into its FasTrack system for program directors to automatically receive MOC points on an annual basis and annually attest to faculty members’ meaningful engagement in QI related to the training program. Program directors of ACGME-accredited internal medicine residencies and fellowships currently use FasTrack to attest to the competency of their trainees. This will enable program directors and faculty members to earn MOC points in a streamlined way. Though the policy decision has been made, it will take some time to implement the reporting in the most seamless way possible. ABIM will provide updates to program directors about how and when reporting can be accomplished as this work moves forward. 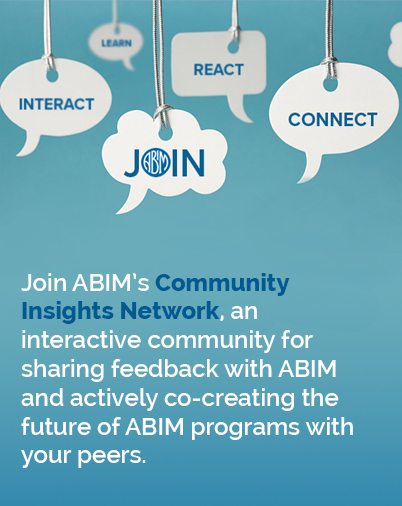 For additional questions, please contact request@abim.org.